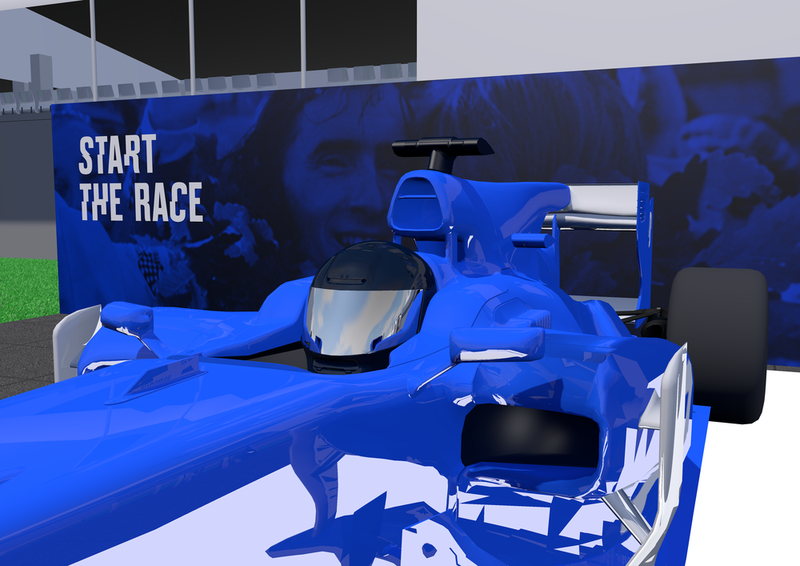 Race Against Dementia is a charity started by F1 Legend Sir Jackie Stuart to fund the latest innovations in dementia research: “45 million people suffer from dementia today. That’s not a number we can ignore. My darling wife Helen is one of them.” Sir Jackie started the charity when his wife, Helen, was diagnosed with dementia. Race Against Dementia needs its first public engagement to help get people behind their cause. Start the Race is a unique public interaction that gets people literally on the start line to begin the Race Against Dementia. At Formula 1 Grand Prix races, Race Against Dementia will offer the public the opportunity to Start the Race, allowing them to live rev an F1 car through engagement with an app on their smart phone. Visitors get to feel the adrenaline and anticipation of a driver at the start of a grand prix race, directly controlling the revving of the car on the line in front of them. Visitors are guided through the Start the Race experience though the experience’s app. Their phone is used as a device through which they learn about Race Against Dementia, donate to the cause, live rev the F1 car, and share and download their unique rev sound recording. Whilst waiting at the stand for their turn to Start the Race, users will be shown the story of Race Against Dementia and told the importance of starting the race to find a cure. Users will then have the chance to set the amount of revs they want, the more you donate, the more revs you get. The donation is set using an on screen dial. 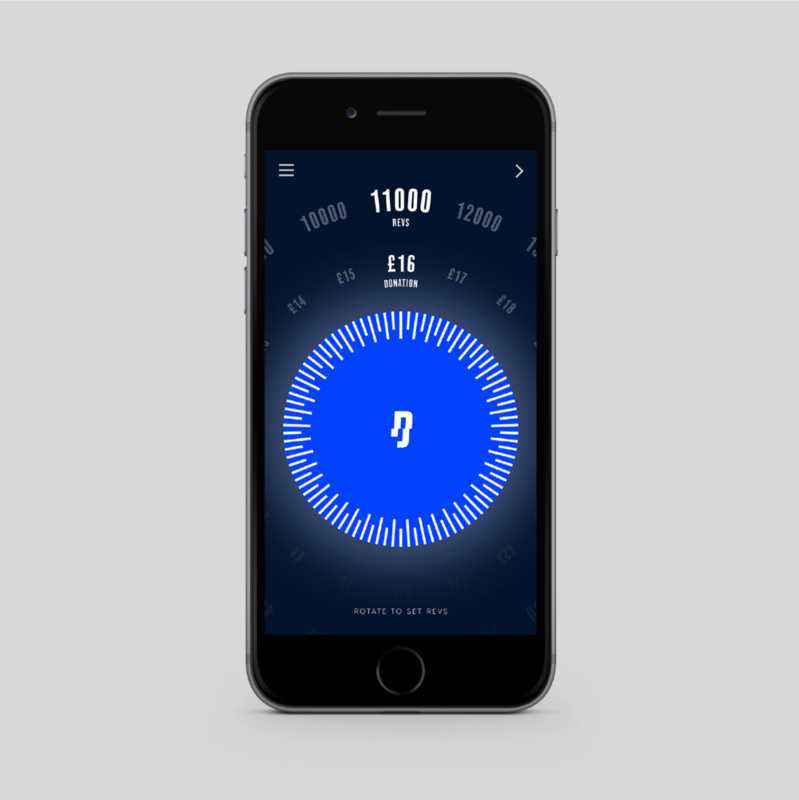 After donating their chosen amount and reaching their turn to Start the Race, users will be guided to the activity page and the app will connect to the car. After a count down, users can feel the adrenaline of starting the race, live revving the car with force touch on their phone. The more pressure they apply, the more the car will rev. The interaction is accompanied by on screen light rings radiating from their centre relative to the amount of revs being used. Also, users are given a meter displaying how many revs they have left. Users can keep and share a Binaural Head Recording of their unique rev pattern from Start the Race. A Binaural Head Recording is a sound recording that uses a mannequin head with two replica ear microphones, recording sound exactly as we would hear it through our own ears. This allows those listening to the recording to hear exactly what the revs sounded like from inside the cockpit of the car, with exact distance and audio spatial awareness.